The Cat-Match adoption application is an expression of interest to adopt. All adoptions are subject to the adoption process detailed in the terms & conditions at the end of this form. Our aim is to achieve a good match for both the adoptive family and the cat. 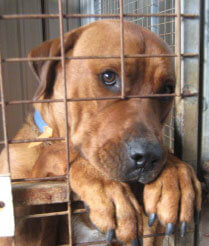 Your answers will help us to match you with the right pet for your circumstances. Please note the person adopting the put must be over 18 years old. When would the cat be allowed outdoors? We recommend cats are kept indoors at night, for safety. Many cats benefit from having a companion especially when left on their own. 2 cats do not need much more time, food can be cheaper if bought in bulk however vet bills may be double. If unit/apartment, what floor do you live on? Is the balcony secured to prevent access? Could the cat fall from the balcony? Do you have landlord/body corporate approval for pets? If you need body corporate approval for pets, written evidence of this approval must be provided. Many rental properties do not allow pets. If renting or boarding, you must provide written evidence of your approval to adopt a cat from your landlord or real estate agent and your body corporate. Do you have an outdoor netted cat enclosure? How busy is your street? All pet vaccinations, flea & worming are up to date? Is everyone supportive of adopting a cat? Is anyone allergic to cat/dog/animal fur? Will you have problems with neighbours? Do your neighbours have a cat or dog? Is your neighbour's pet well confined? How long did you own it for & what happened to it? Do you feel confident looking after a cat? If unsure, would you like advice? What would you do if your cat was found to suffer from behavioural problems? How often/long each day would your cat be left alone? What would you do with your cat during the holidays? 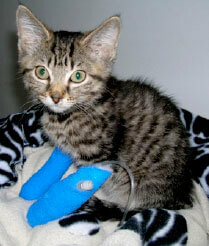 Even minor injuries can result in significant veterinary costs. If unsure, would you live advice about pet insurance? Do you or anyone in your household have any health or medical conditions which would affect your ability to care for a cat? Do you or anyone in your household have any disabilities which would affect your ability to care for a cat? All health issues, medical conditions or disabilities are considered part of the matching process. Have you or anyone in your household been convicted of a criminal offence? Have you or anyone in your household been convicted of animals cruelty, animal neglect or had an animal removed from your care? Please note a criminal check may be conducted. 1. A four week trial period if offered to ensure a safe and suitable match of the cat with its new home 2. Payment of the adoption fee and a signed adoption agreement activates the start of the agreed trail period. 3. To complete the adoption process, the above plus a transfer of ownership must be completed and signed. 4. An adoption application (this form) is an expression of an interest to adopt. Completion of this form does not guarantee approval to adopt. 5. If you see to foster a pet with a view to adoption, a site visit of premises where the pet is to be kept forms part of the adoption process. A foster application and adoption application must be completed and the adoption fee paid prior to commencement. 6. An adoption application (this form) may be referred to the Sydney Pet Resuce and Adoption Inc. committee for consideration. 7. Decisions on adoption applications are based solely on an assessment of the applicant's capacity and commitment to provide a safe, loving and permanent home for the pet under consideration. With this in mind, the Sydney Pet Rescue & Adoption Inc. assessment of adoption application is final. I acknowledge that a cat may live for 20 years and I am willing and able to meet the costs that are likely to be necessary to care for my cat including ongoing costs of food, yearly vaccinations, regular flea & worm treatments over its lifetime. If my cat needs veterinary care I am willing and able to meet those costs. Both my family and I will welcome our cat as a member of the family and provide a secure, permanent and safe, loving home. I have the physical and financial capacity to include a cat within my family and I will be able to maintain a good standard of care. I will never surrender my pet to a pound or animal shelter. I intend to provide a 'fur-ever' home however should my circumstances change and I am unable to keep my pet, I will do everything in my power to help my pet find a new loving home. I confirm I am over 18 years of age and if I am in rental accommodation, I confirm I have my landlords permission to have a pet at the premises. I have read, understood and agree to the adoption terms & conditions shown above. All information supplied is true and correct and is not misleading in any way.